A coal mine fire burning for almost a month is forcing residents of an Australian town from their homes after pollution more than 22 times above recommended safe levels triggered a health alert. 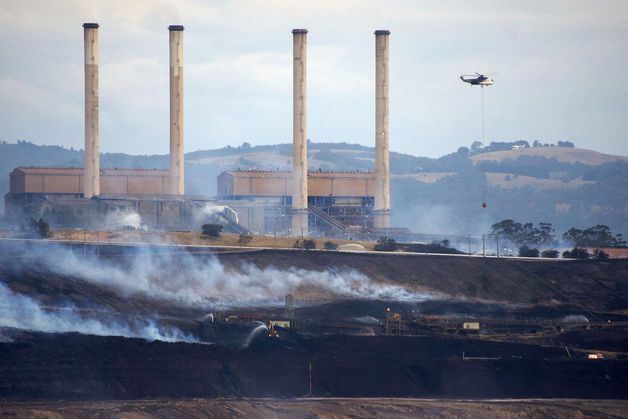 Firefighters are pumping as much as 84,000 liters of water a minute, the equivalent of about two Olympic-size swimming pools an hour, onto the burning mine at GDF Suez’s Hazelwood power station in Victoria state, according to local authorities. Pollution readings in the nearby town of Morwell, 150 kilometers (93 miles) east of Melbourne, peaked last month at levels beyond hazardous on the Air Quality Index. Residents have abandoned more than half of the 750 homes in the worst-affected area, as families with pregnant women, elderly people and young children take up A$1,250 ($1,128) weekly payments to temporarily relocate, according to the state government. Victoria’s Premier Denis Napthine has urged people in the region to offer vacant holiday homes to those seeking respite and pledged use of his own coastal vacation property. 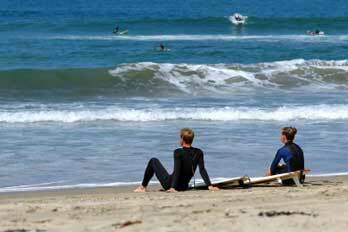 Seaborne radiation from Japan’s wrecked Fukushima nuclear plant will wash up on the West Coast of the U.S. this year. 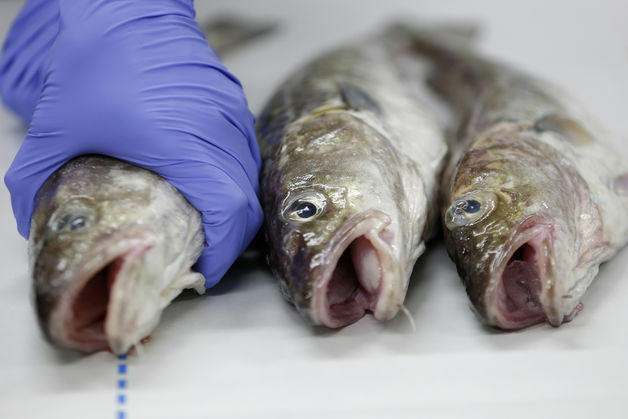 That’s raising concerns among some Americans including the residents of the San Francisco Bay Area city of Fairfax, which passed a resolution on Dec. 6 calling for more testing of coastal seafood. 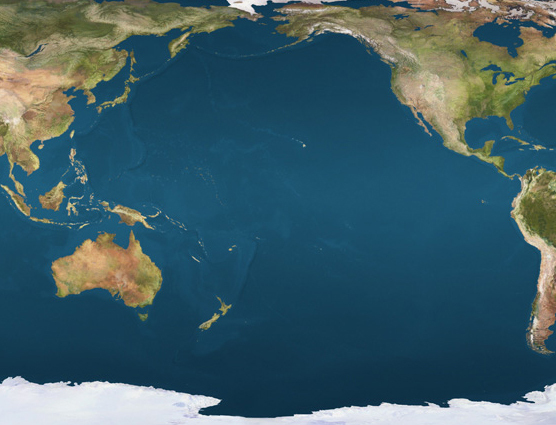 At the same time, oceanographers and radio-logical scientists say such concerns are unwarranted given existing levels of radiation in the ocean. The runoff from the Japanese plant will mingle with radiation released by other atomic stations, such as Diablo Canyon in California. Under normal operations, Diablo Canyon discharges more radiation into the sea, albeit of a less dangerous isotope, than the Fukushima station, which suffered the worst nuclear accident since Chernobyl. At Tokyo Electric Power Co. (9501)’s Fukushima Dai-Ichi station, where three reactors melted down after the March 2011 earthquake and tsunami, about 300 metric tons of contaminated groundwater seep into the ocean each day, according to Japan’s government. Between May 2011 and August 2013, as many as 20 trillion becquerels of cesium-137, 10 trillion becquerels of strontium-90 and 40 trillion becquerels of tritium entered the ocean via groundwater, according to Tokyo Electric. 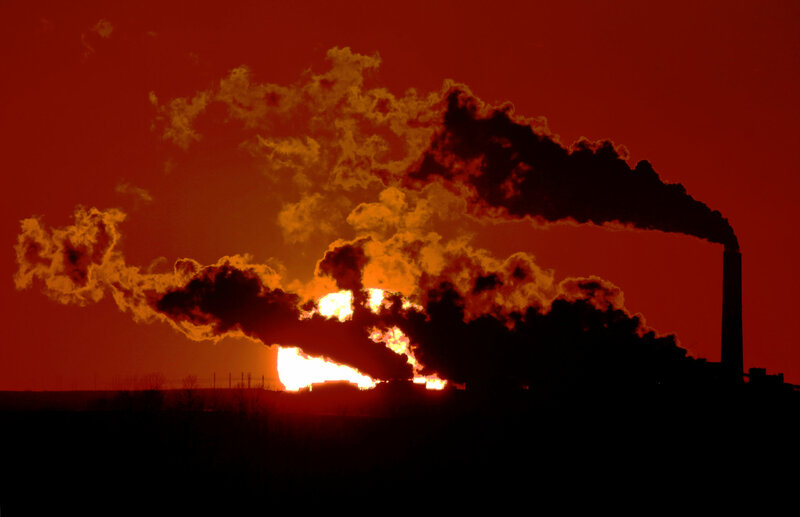 Cesium isotopes, which emit flesh-penetrating gamma rays, are among the most dangerous radionuclides emitted by the plant, said Colin Hill, an associate professor of radiation oncology at the University of Southern California’s Keck School of Medicine. Strontium-90, which mimics calcium, increases the exposure risk for humans by remaining in the bones of fish for extended periods. 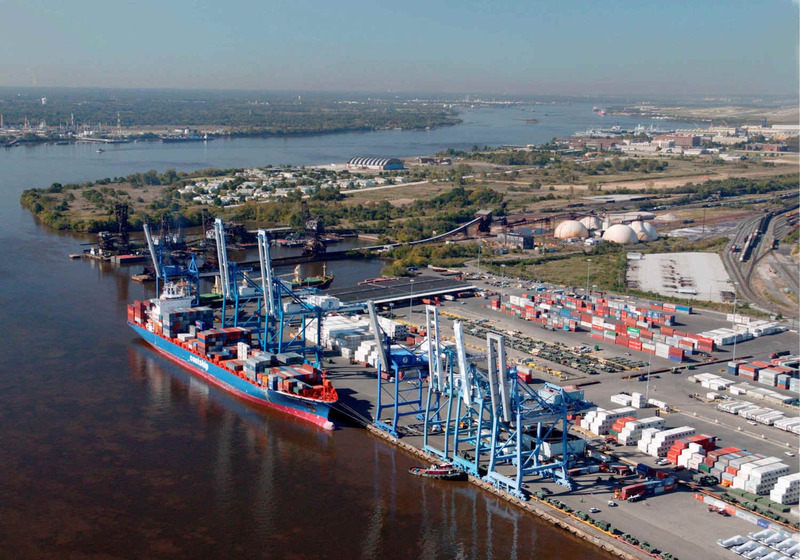 While tritium is less radiologically intense than cesium and passes through fish faster than strontium, it can also contaminate sea creatures that encounter the isotope in high levels, Hill said. Water exposed to radiation from the Fukushima plant would reach the U.S. at levels at least 100 times lower than the U.S.’s drinking water threshold, Nuclear Regulatory Commission chairman Allison Macfarlane said at a Dec. 6 briefing in Tokyo. 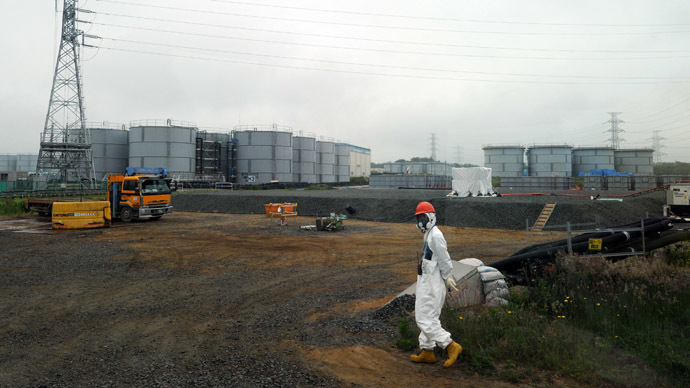 takeover of part of the Fukushima cleanup. South Korea has already banned imports of fish from Japan’s northern Pacific coast. Fukushima radiation is being erroneously blamed for everything from sea-lion deaths to sickened polar bears, according to an editorial this week in Canada’s Times Colonist newspaper. Part of the issue is general concern about radiation, and the startling amounts that are released into the environment by the 435 nuclear power plants operating worldwide as of Jan. 3. Measurements that puzzle the public — becquerels, rems, curies and sieverts — don’t aid transparency. And, worse, scientists disagree on the health risks from low-dose radiation exposure. A report on the Fukushima disaster by the World Health Organization in February last year estimated increased cancer risk for those in the most contaminated areas around the plant, but not elsewhere in Japan. However, the report also notes that better understanding of the effects of low-dose radiation may alter risk expectations from the Fukushima accident. Less than 100 miles up the coast from Dempski’s home, Pacific Gas & Electric Co.’s Diablo Canyon plant in San Luis Obispo discharged 323 million liters of water into the Pacific in 2012, or about 870 tons a day, according to data from the company on the U.S. Nuclear Regulatory Commission’s website. That’s equivalent to 130 Olympic swimming pools and more than twice the daily amount leaking from Fukushima. That water contained 3,670 curies of tritium, or 136 trillion becquerels, according to the company, almost three-and-a-half times the amount released from the Fukushima plant into the ocean in the period starting May 2011. The plant also discharged cesium-137, though at lower levels than Fukushima, while its output of strontium-90 is below detectable levels. Diablo Canyon’s discharges are regulated by the NRC and the plant complies with its licensing requirements, PG&E spokesman Blair Jones said in an e-mail. Total liquid discharges from Diablo Canyon in 2012 were 0.0165 percent of what the NRC allows, Jones said. The radioactivity in plant wastewater comes from inadvertent contact between the isotopes and cooling water pumped through nuclear plants. Rick Castello, a San Luis Obispo-based project manager for a technology company, said by phone that he was unaware of the discharges from the nearby nuclear plant. He also harbors concerns about the approaching radiation from Fukushima. 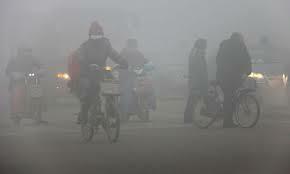 Smog levels in Beijing, China were found to be 10 to 15 times what the World Health Organization classifies as a health risk. The streets are still overflowing with people wearing gas masks and respirators, and city officials recently announced a fuel pollution tax to help curb emissions. 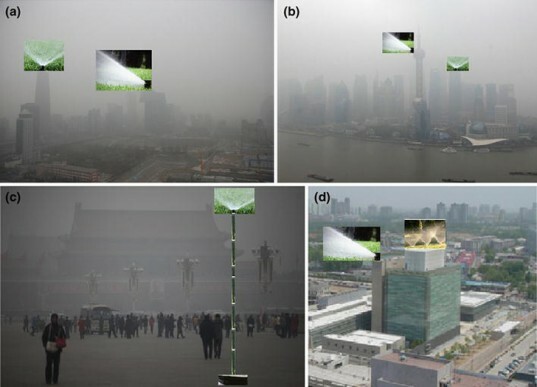 Yu Shaocai, an expert on “wet deposition”, recently proposed a radical new solution that could help clear the air: giant sprinklers that spray water into the atmosphere of heavily-polluted cities. 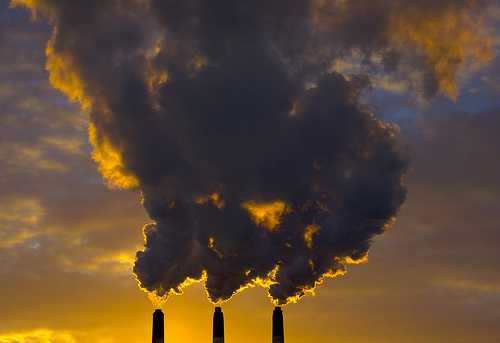 Yu Shaocai, a former U.S. Environmental Protection Agency employee, and an expert on “wet deposition” proposed a solution which is based on a valid natural occurrence. “Wet deposition” is a process by which raindrops and snowflakes deposit polluted particles on the ground and clean the air. Shaocai’s idea is to create a new urban infrastructure and attach the giant sprinklers to the exteriors of skyscrapers in order to clear out toxins and gases from the air. Shaocai doesn’t have specific answers to some of the technical questions. Installing giant sprinklers would involve a costly process of retrofitting skyscrapers with necessary equipment, not to mention the safety measures during storms and strong winds. The proposal is a theoretical paper, published in the January issue of Environmental Chemistry Letters, which Shaocai plans to test at Zhejiang University and in Hangzhou.